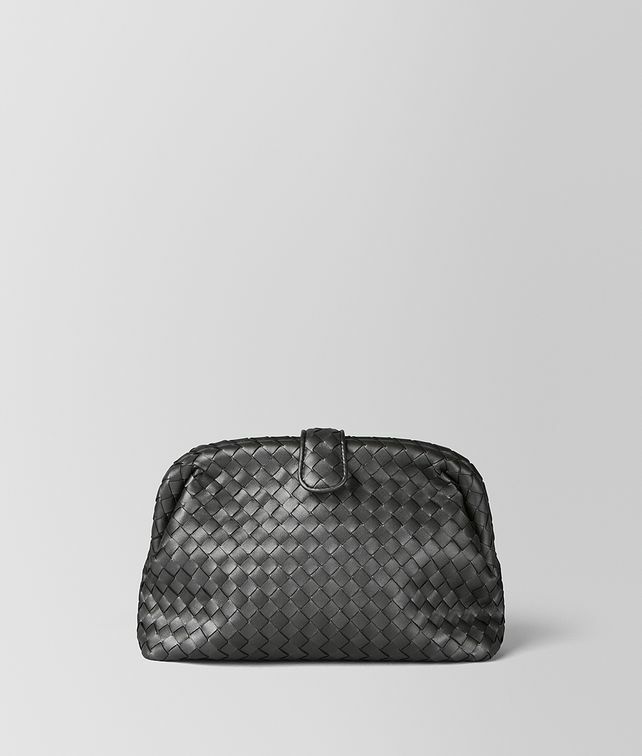 This timeless clutch is modelled after the Bottega Veneta bag worn by Lauren Hutton in the movie American Gigolo. Crafted from signature intrecciato nappa in a subtle metallic hue, it features a seamless pouch with a rigid rim. Fastened with a snap-button and fitted with a zip pocket.